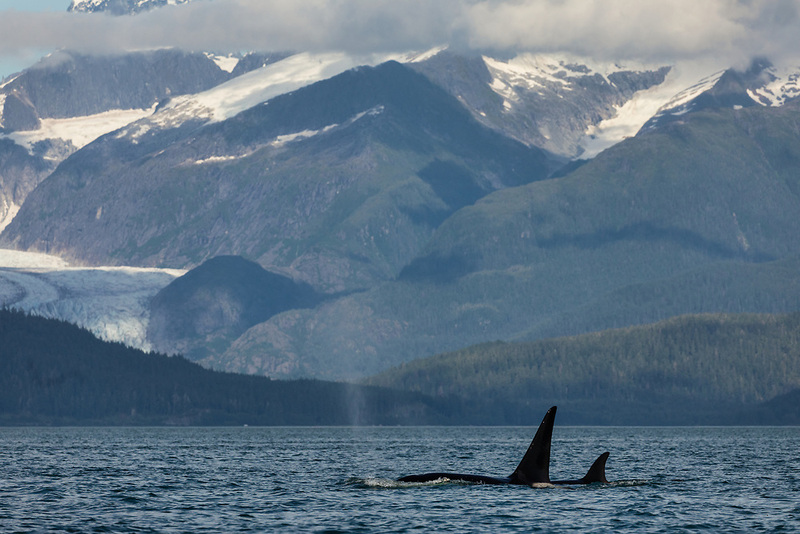 Male and female Orcas (Orcinus orca) surfacing in Favorite Channel with Herbert Glacier in background in Southeast Alaska. Summer. Evening.